What is ultimately real? What is God like? Do human beings have minds and souls or only brains in bodies? Are humans free agents or are all human acts determined by prior circumstances? 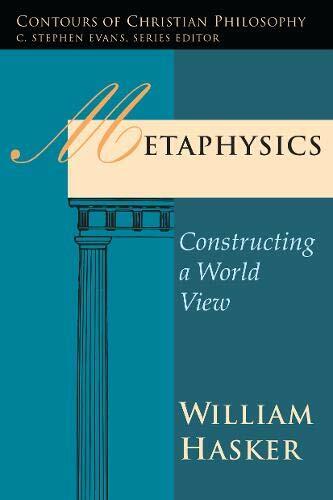 Through insightful analysis and careful evaluation, William Hasker helps readers answer these questions and thereby construct a world view to make sense of the universe and the people in it. William Hasker (Ph.D., University of Edinburgh) is professor emeritus of philosophy at Huntington College in Huntington, Indiana. His books include Metaphysics: Constructing a World View; God, Time, and Knowledge; Reason and Religious Belief (with Michael Peterson, David Basinger and Bruce Reichenbach); The Openness of God (with Clark Pinnock, Richard Rice, John Sanders and David Basinger); Philosophy of Religion: Selected Readings (edited with Michael Peterson, David Basinger and Bruce Reichenbach); The Emergent Self; Middle Knowledge: Theory and Applications (edited with David Basinger and Eef Dekker) and Providence, Evil and the Openness of God.